Who doesn't love a good girls dinner with delicious food, hilarious conversation and a little (lot) o' bit of wine? Well maybe the menz don't like it but I do, and let's be honest, that's what I am thinking about right now! A dear friend of mine called me recently, after haven't seeing each other for what felt like an eternity, and asked if I wanted to come over for dinner. With a quick "hell yeah I do!" we made plans for a quiet dinner at her house with a simple, albeit scrumptious, dinner of salmon. 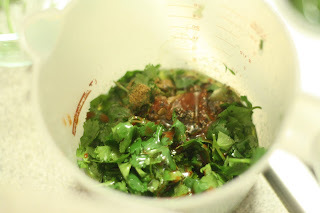 Koban, my notoriously hilarious friend, has a knack for making me realize that a healthy meal doesn't have to be expensive or over-complicated. After a few glasses of wine on the porch with my two favorite appetizers which she always has on hand, Triscuits and Goldfish, we headed inside to prepared the meal. Within minutes we were back on the porch, plates in hand, a chilled bottle of wine between us and sat down to an amazing meal! 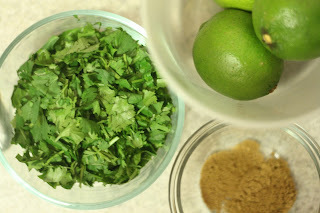 For those of you who don't care for cilantro, I naturally suggest you stay away from this dish, but for all of the other level headed, normal people in the world who love the herb as much as I do I cannot emphasize enough how yummy and easy this meal was to eat and prepare! 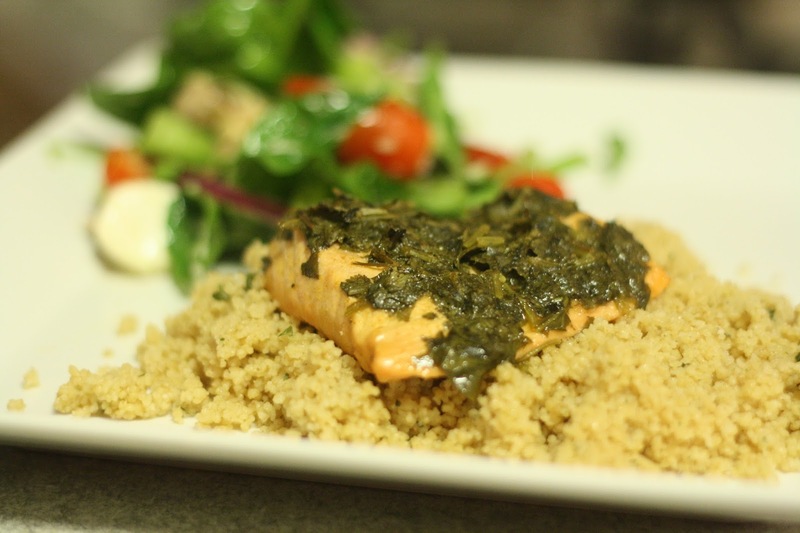 Thanks to the Kobanator for another amazing meal and a perfectly healthy blog post! Prepare 2 foil squares, 12" x 12". Place 1 piece of salmon on each foil square. We just made 1 large foil packet and it worked just fine but it is totally a matter of preference. 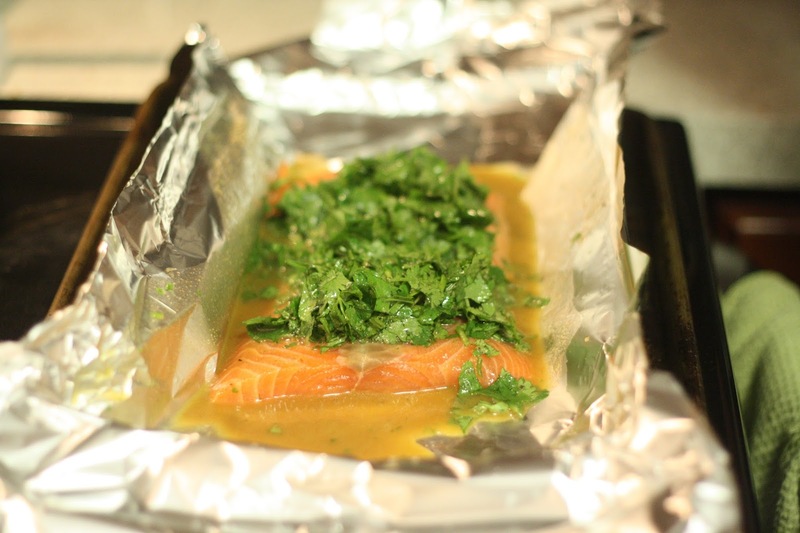 Drizzle over salmon; fold up and seal foil packets. Place on cookie sheet and bake in 500 degree oven for 10 minutes. 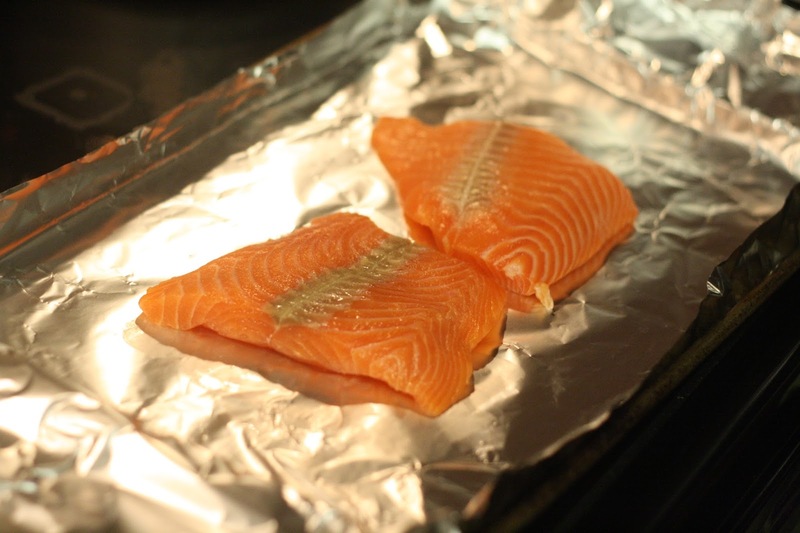 Check for doneness - fish will be opaque and flake easily with a fork.